How diverse are law firms? One of the challenges facing the legal profession is trying to ensure that it offers opportunity to all. For the last four years, the Solicitors’ Regulation Authority has conducted surveys which seek to measure diversity in law firms. The most recent report was published in February 2018. While data for any one survey year may not reveal very much, the creation of comparable datasets over a period of years can reveal trends. The survey looks at a number of characteristics to assess the extent to which law firms offer diversity in employment. This note reproduces and highlights some of the primary factors identified in the survey. Women make up 48% of all lawyers in law firms compared with 47% on the overall UK workforce. Looking at seniority, in 2017 women make up 59% of non-partner solicitors compared to just 33% of partners (though this is up from 31% in 2014). In the largest firms (50 plus partners) 29% of partners are female. The proportion of female partners has risen steadily from 25% in 2014 to 29% in 2017. There is a greater proportion of female lawyers in mid-size firms – women make up 54% of all lawyers in firms with six to nine partners and those with 10 to 50 partners. The highest proportion of female solicitors is in firms which have six to nine partners. In these firms, two thirds (66%) of solicitors are female and this has grown over the past four years (from 60% in 2014). Over a third of the partners in these mid-size firms are female (37%) and this has also grown from 31% in 2014. There are variations by the type of legal work undertaken by firms. While overall women make up 48% of all lawyers, 52% of lawyers in firms mainly doing private client work are female, whereas 40% of lawyer in firms mainly doing criminal work are female. There has been an increase in the proportion of black, Asian and minority ethnic (BAME) lawyers working in law firms, now one in five lawyers. This is up 6%, from 14% in 2014 to 21% in 2017. This increase is largely due to the rise in Asian lawyers in the profession, up from 9% in 2014 to 14% in 2017. Asian lawyers make up two thirds of all BAME lawyers. Black lawyers make up 3%, which has risen by 1% since 2014 and now reflects those in employment in the UK (3%). Unlike the profile for women, there is very little difference by seniority among BAME lawyers, 21% of solicitors are BAME compared to 20% of partners. However, differences become apparent when the breakdown of partners in firms by size is considered. The largest firms (50 plus partners) have the lowest proportion of BAME partners – only 8% which has risen by 1% since 2014. This contrasts with one partner firms, where just over a third (34%) of partners are from a BAME background. There are differences in the proportion of BAME lawyers according to the type of legal work undertaken by firms. Firms mainly doing criminal work and those mainly doing private client work both have a higher proportion of BAME lawyers, 33 and 37% respectively. Firms doing a mixed range of work and firms doing mainly corporate work both have the lowest proportion of BAME lawyers, 12 and 19% respectively. The survey used attendance at a fee paying school and whether someone was the first in their generation to attend university, as a proxy for social mobility in this survey. There is a significant gap between lawyers and the general population. 22% of all lawyers attended fee paying schools, compared with 7% in the general population. There has been no change since 2015, though the proportion of lawyers attending fee paying school fell by 4% between 2014 and 2015. The firms which mainly do corporate law have the lowest proportion of state educated solicitors at 56%. 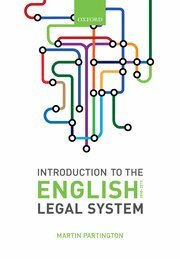 Three quarters of solicitors in firms doing mainly criminal and litigation work are state educated (77 and 76% respectively) compared to just over half in corporate firms (56%). In contrast, there is a higher proportion of partners who were the first generation in their family to attend university (59%), compared to 49% of solicitors. The proportion of partners who were the first generation to attend university is highest within the smallest firms and this decreases with size of firm. This ranges from 63% of partners in one partner firms, to 52% in firms with 50 plus partners. Only 5% of lawyers did not attend university at all. This has fallen since 2014, when 7% did not attend university. The principal conclusion to be drawn from these data is that while some increase in diversity can be seen, the legal profession can and should still do more. Provision of legal services: accountants getting in on the act! Competition in the legal services market will hot up even more in 2014, following the announcement that the Legal Services Board (LSB) has agreed that the Institute of Chartered Accountants in England and Wales (ICAEW) should be a regulator of probate services and also licensing authority for Alternative Business Structures (ABS), subject to approval from the Lord Chancellor. This is an important step by the Legal Services Board in opening up the provision of legal services. In making this recommendation, the Legal Services Board has recognised that consumers can receive legal services relating to probate work from appropriately regulated ICAEW Chartered Accountants that are of equal quality to traditional legally qualified providers. It has also recognised that ICAEW is a suitable body to licence ABSs which will facilitate the creation of new business structures between lawyers, accountants and other professionals (such as Independent Financial Advisors).